Rotarian Irv Hodgkin from The Rotary Club of Ellsworth joins Noontime Rotary President Leann Beal at the 2nd Annual Ellsworth Open House on March 20th to share the community service message of Rotary with guests. Other Rotarians from our club that attended and helped our table: Tracy Shaffer, Nancy Mayo, Charlene Churchill. 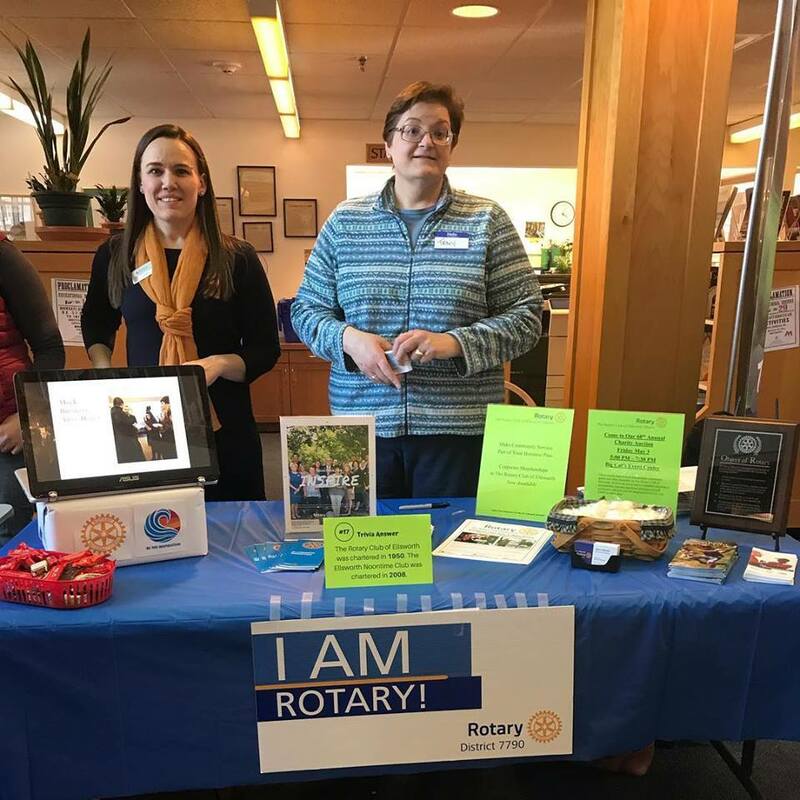 Additional Rotarians helping with the event in other ways which was held at the Ellsworth Public Library: Allegra Pellerano, Gene Pellerano, Jo Cooper and Micki Sumpter.